If you’ve watched any television this holiday season, you’ve been subjected to this commercial, or some version of it. And odds are, you’ve cringed. Social media is atwitter (get it?) with “I’ll never buy a Honda” and “Honda, these are the most annoying commercials ever” and “I was thinking about buying a Honda but that commercial killed it for me. Toyota, here I come” — all because of Michael Bolton. Turns out he doesn’t necessarily appeal to Honda’s chief purchasing demographic. The smart marketers at Honda know that. I’m sure they meant this whole campaign ironically – they meant it to be aggravating and maddening and over-the-top and downright annoying. They are delighted at the outpouring of exasperation and displeasure. Because everyone is talking about these commercials. 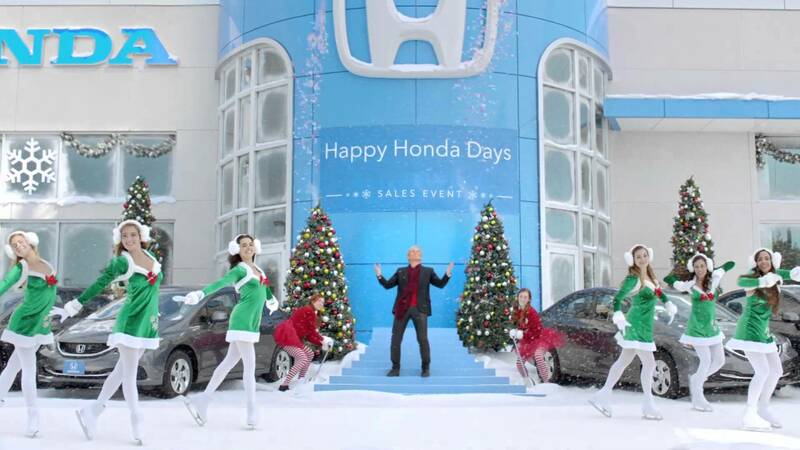 Everyone is deriding Honda’s decision to use Annoying Man for its Songperson this holiday season. At my annual holiday gathering with girlfriends, “Honda” was mentioned over and over and over as women clutched at their hair and wished laryngitis upon Michael Bolton. Facebook is covered with nasty memes. As horrible and dreadful and awful as this Honda commercial is, it put Honda in the shining spotlight this Christmas. But it is horrible and dreadful and awful and there is absolutely no solid reason for that. Advertising that is memorable, creates a buzz and makes people talk shouldn’t be uber annoying. That truly defeats the purpose. A positive message, something that makes people feel good about the product and its benefits is always always always a better choice. Those good feelings create a happy bond with the audience and positivity just lasts longer, meaning the happy audience turns into a happy customer, which is exactly what truly good marketing is supposed to do.